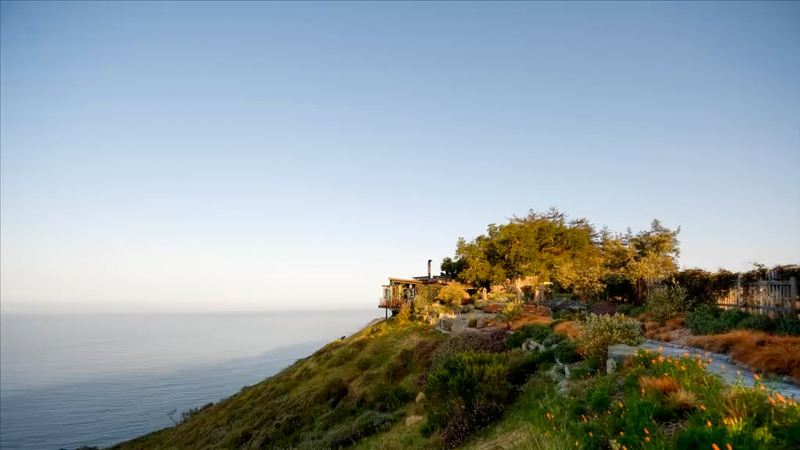 Beautiful cliffs tower above the stunning California coastline and at first glance you might see a rustic structure that is tucked neatly into the landscape. Upon closer inspection you'll notice that what you thought was a rustic retreat is actually a luxuriously organic architectural form that is meant to blend with its environment. Post Ranch Inn, located in Big Sur, has taken great pleasure in creating a resort that embraces nature with fantastic results. Post Ranch promises to give you a passionate and serene destination that will make you never want to depart. Check in at this romantic desination and get ready to strengthen your bond with nature in Big Sur, California. Simply driving to Post Ranch Inn will leave you breathless. 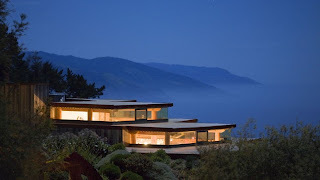 Located just off scenic highway 1, your commute here includes some of the most remarkable views of the California coastline. After those views, you'll wonder how anything can compare. But upon arrival at Post Ranch, you'll learn the err of your ways. 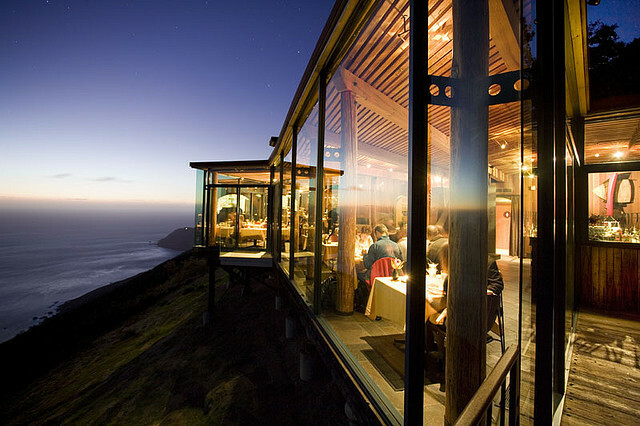 The mostly wood and glass resort boasts unforgettable views everywhere you look. Guests will immediately notice the tranquility that surrounds the hotel. Peaceful water features and the sense of isolation from the real world welcome you. No TVs or alarm clocks can be found here because Post Ranch tempts you to relax. However, comfortable and inviting beds, wood-burning fire places and champagne will be found upon arrival. Relaxation here does not mean laying around all day, unless of course that is exactly what you want to do. Every room is outfitted with a walking stick and the grounds around the resort are beckoning you to take a walk, hike, or to go for a run through them. 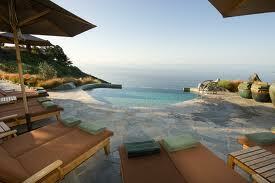 The infinity pool calls to you with fabulous views and waters that are a constant 104 degrees. Hit the lap pool or head to the state of the art fitness center to burn a few calories. Find balance during a yoga class or look at the stars with the celestial telescope. The Health and Wellness Center will entice you to enjoy a massage, facial or other rejuvenating treatment. Cooking classes are also offered here, or simply choose to enjoy the award winning food via the dining room. If you have a love of food and wine, Post Ranch invites you to explore their amazing menus. In the Wine Cellar, enthusiasts can spend time looking over the wine lists and the extensive wine selections offered here. Relaxation has many faces at Post Ranch Inn. A number of choices exist when selecting your suite at Post Ranch Inn. 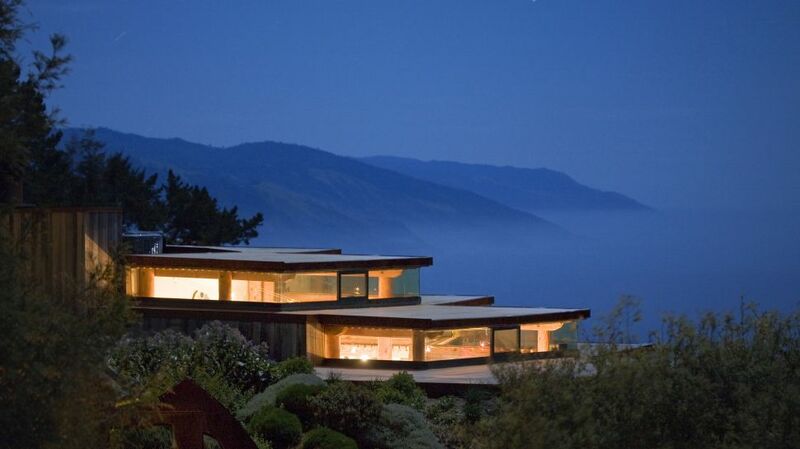 Choose either mountain view or ocean view and determine how much space you require. Once that decision is made, get ready to feel pampered. 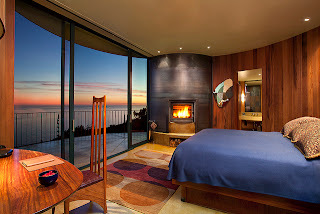 Every room gives its guests phenomenal views and amazing private balconies. Though you won't find televisions and alarm clocks in your room, you will find plush decor, warming fireplaces, heated floors, large soaking tubs as well as large showers, and a very amorous setting. It is no wonder many visitors are here for their honeymoon or anniversary. Seduction can be found in every detail. Post Ranch Inn is well known for its views and ability to assist guests in retreating from the every day. Visitors will arrive awe-struck and depart smitten with this intriguing resort. Get ready to kick the excitement up a notch in Perfect Post Ranch Inn.